JoAnn Zerwekh, EdD, RN established Nursing Education Consultants, Inc. (NursingEd.com) in 1981. JoAnn is a nurse educator with extensive experience in nursing education. 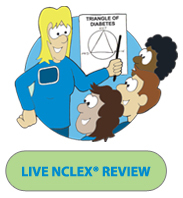 She has been presenting NCLEX® review courses for graduate nurses for over 30 years and is the author of the NCLEX® review books: Illustrated Study Guide for the NCLEX-RN® Exam and Illustrated Study Guide for the NCLEX-PN® Exam. In addition to authoring NCLEX® review books, JoAnn also published the popular Memory Notebook of Nursing: Volume 1, Memory Notebook of Nursing: Volume 2, and Memory Notebook of Nursing: Pharmacology & Diagnostics. These books are a collection of images and mnemonics that provide a visual presentation of information while incorporating humor and imagery. Their purpose is to provide today's nursing students with additional study resources that will assist them to retain critical nursing knowledge as well as promote successful completion of nursing school and the NCLEX® exam. JoAnn also offers support to nursing faculty through workshops as well as A Digital Collection of the Memory Notebooks of Nursing. 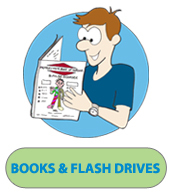 This flash drive contains the complete collection of full-color images and mnemonics from the Memory Notebooks of Nursing and can be used to enhance visual presentations for the classroom. Elaine Nokes, the Chief of Operations (COO), has been with NursingEd for over 20 years. She is the company's contact for course scheduling and general information. Elaine handles marketing, maintaining contact with Deans, Directors, and students so review courses run smoothly.